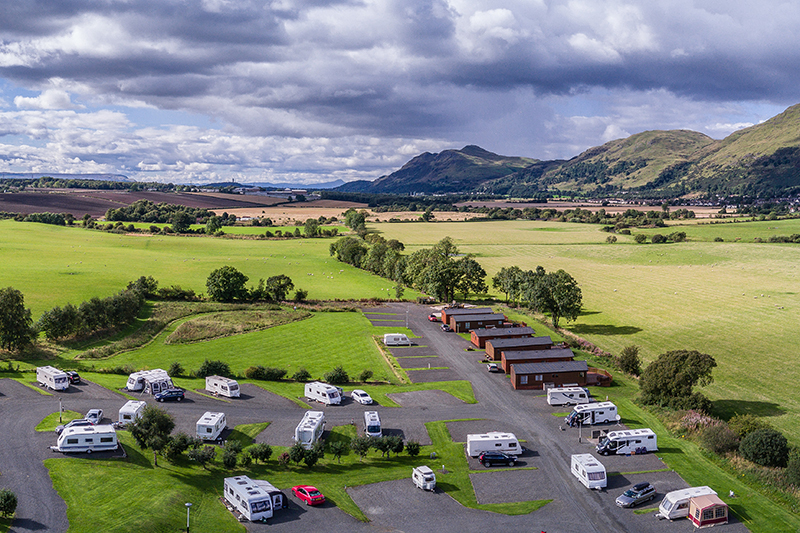 The site is approximately 14 acres and is affiliated to the Caravan & Motorhome Club. 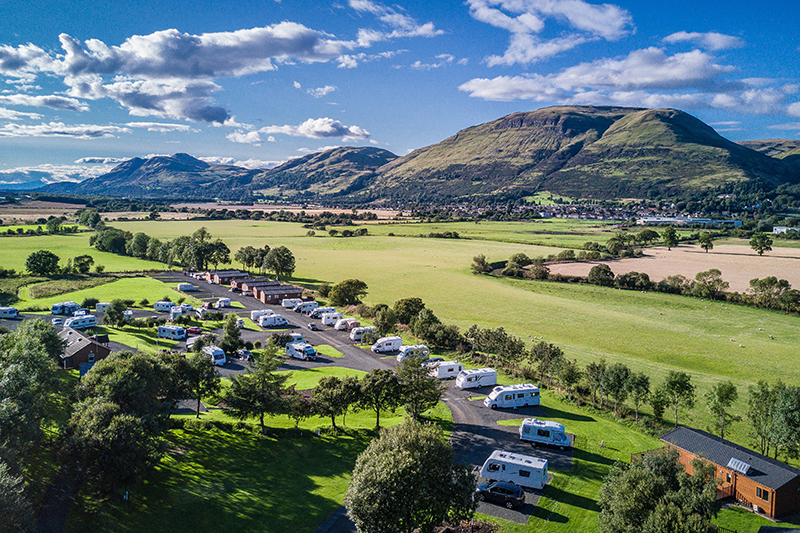 It has a total of 112 pitches, 97 large hardstanding pitches which accommodate caravan, awning and car, 14 fully serviced pitches and 15 grass pitches for tents. Dogs are welcome and there is a small exercise area on site. The site has two modern award-winning heated toilet blocks, baby changing facilities, dishwashing area, laundry and drying area. 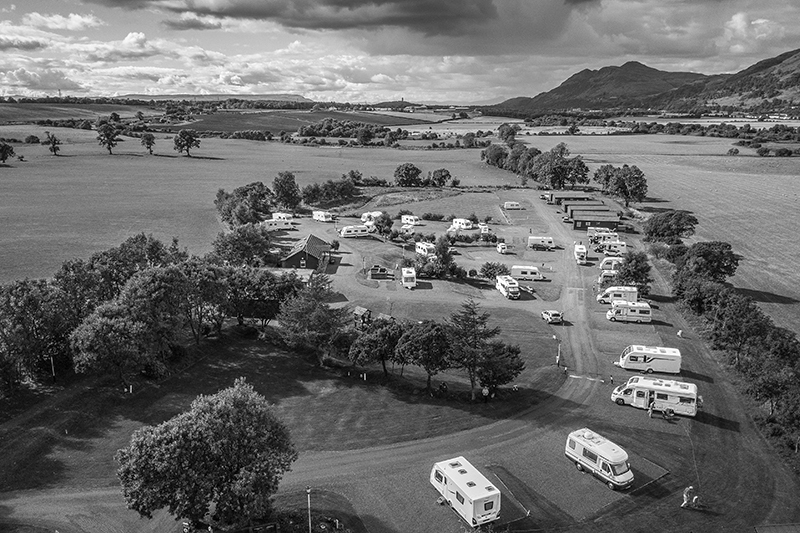 Motorhome facilities, seasonal pitches and also a children’s play area. There is also a small shop on site and gas is available to buy. On-site restaurant & bar, The Woodsman, open 7 days. Bus stop and train station within easy reach. 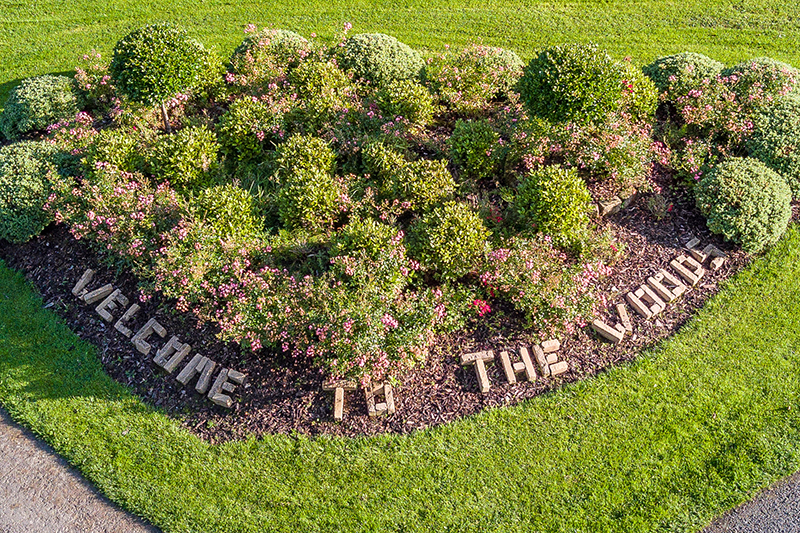 This beautiful park offers exceptional scenic views. 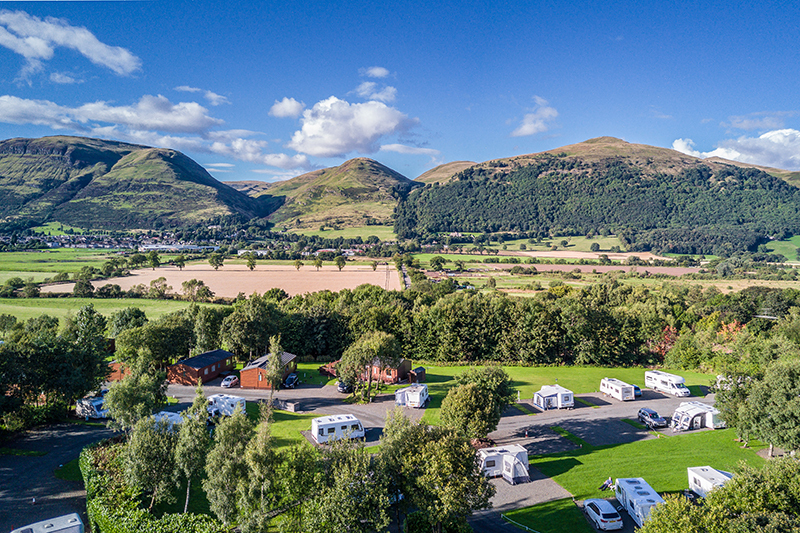 The park is quiet, tranquil and an ideal touring base for Stirling, The Trossachs, Perth, Loch Lomond, Glasgow and Edinburgh. There is also plenty to do in the local area. Nearby is Gartmore Dam Country Park and Alva Glen. There is also golf, pony trekking and a safari park all within 20 minutes. For those that enjoy walking and cycling there is hill walk and off road cycle routes five minutes away. There is also shopping at the Sterling Mills Shopping outlet only 5 minutes away. Fishing is available on the River Devon during summer months, permits are available at reception.